João Pessoa is in the northeast region of Brazil, 2340 km from Brasília (Brasilian capital), 688 km from Fortaleza , 762 km from Salvador, 1900 km from Rio de Janeiro, 2440 km from São Paulo, 111 km from Recife and 153 km from Natal. 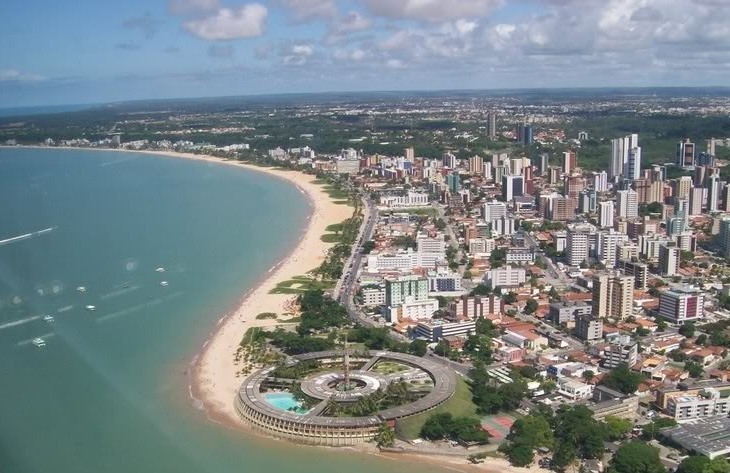 João Pessoa has a population of 723,515 inhabitants, acording Brazilian Census (IBGE, 2010) and is the capital of Paraíba state. This state covers an area of 56585km2, and consists on 223 towns, having a total population of 3,766,528 inhabitants. Brazil Map and Paraíba state map. The red point indicates the geographical location of João Pessoa city. 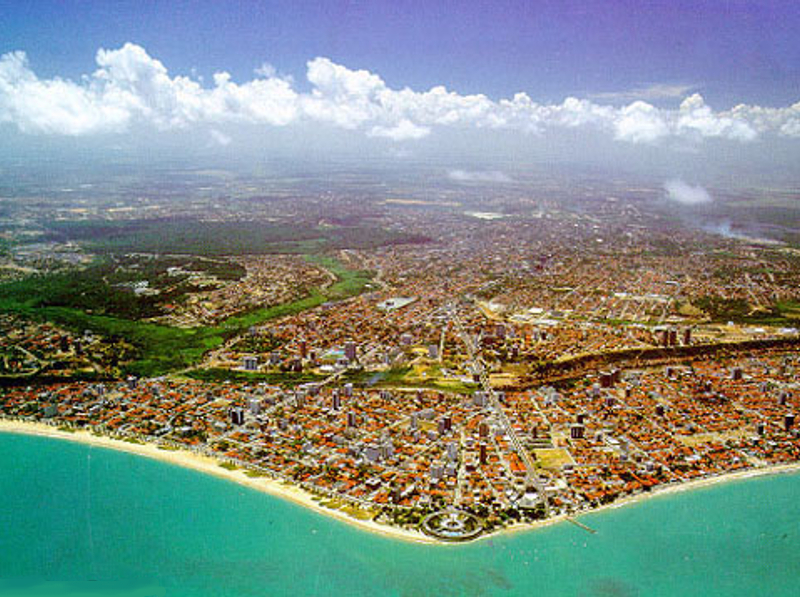 As the 3rd oldest city in Brazil, João Pessoa had several names before the current one. First it was called Nossa Senhora das Neves (Our Lady of the Snows) in August 5, 1585, in honor of the holy day on which it was founded. After, it was called Filipéia de Nossa Senhora das Neves in October 29, 1585, in honor to the king of Spain, D. Felipe II, when Portugal went to Spanish rule. On December 26, 1634, it was named Frederikstadt (Frederica) at the time of its conquest by the Dutch, in honor of Prince Orange, Frederick Henry. Its name was changed again, this time going to be called Parahyba, to February 1, 1654, with a return to Portuguese rule, receiving the same name as the province and ultimately the state. On September 4, 1930, finally received the name of João Pessoa, tribute paid to the State President assassinated in Recife denied support for Dr. Julio Prestes, official candidate for president in 1930 elections. 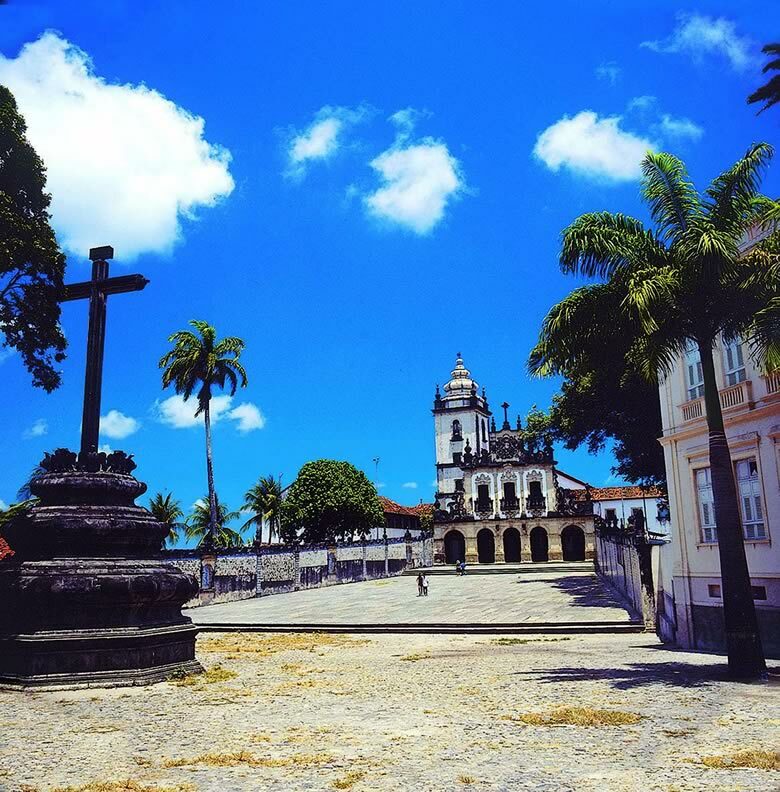 João Pessoa and their people have a lot of culture to go along with tourism. 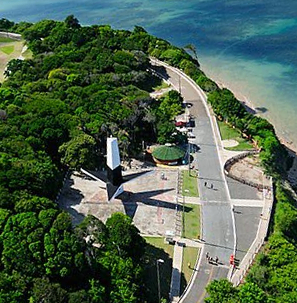 It is the city in Brazil with the largest quantity of trees and the second greenest of the world. 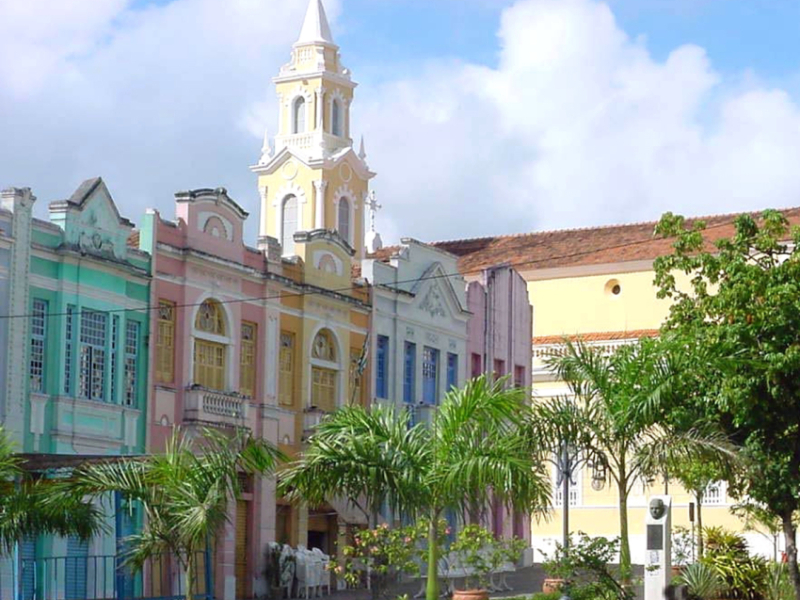 The old downtown features historical churches and houses with details of the rococo and barroco style. The old architecture is mixed with modern one, with Solon de Lucena Park flanked by royal palms and new buildings. Sao Francisco church (XVIII century). Ancient houses in downtown. Solon de Lucena Park in downtown. Over the centuries, people from Paraíba have developed a culture which reflects in the way they speak, dress, sing, eat or have fun. In the crafts market, interesting pieces of the local art can be found, generally made of mud or wood. The craftswomen produce very original works of knitting and sewing in a labyrinth form, Renascence stile and Richelieu. 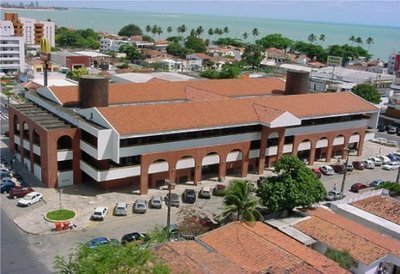 To see those regional handcraft, visit the Feirinha do Tambaú and the Mercado de Artesanato Paraibano. Street market at Tambaú. 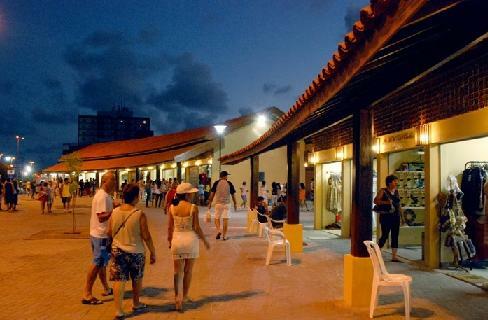 Handcraft market of Paraíba. The city has a mass of fully preserved natural forests, squares and gardens. It is considered the second city with highest index of green area per inhabitant in the world, according to the United Nations survey of 1992. 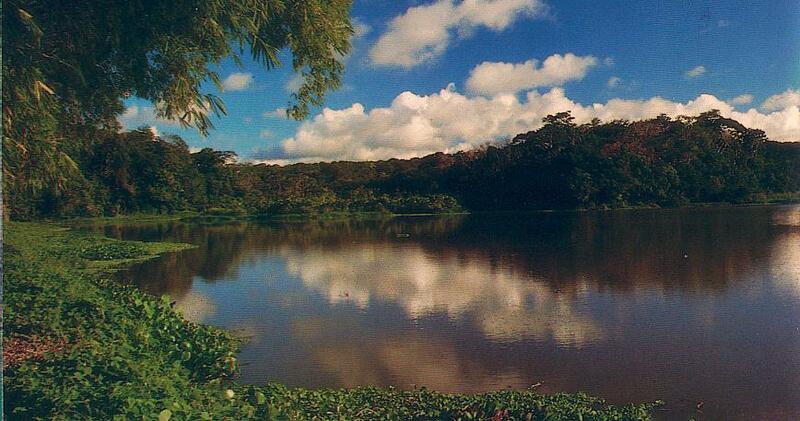 It can be visited a intact rainforest reserve, called Botanic Garden (popularly known as Mata do Buraquinho). The Easternmost point of the continent of the Americas is located in João Pessoa (Ponta do Seixas beach - 7°8?55?S 34°47?49?W), over which it can be seen the Farol do Cabo Branco (Cabo Branco Lighthouse). 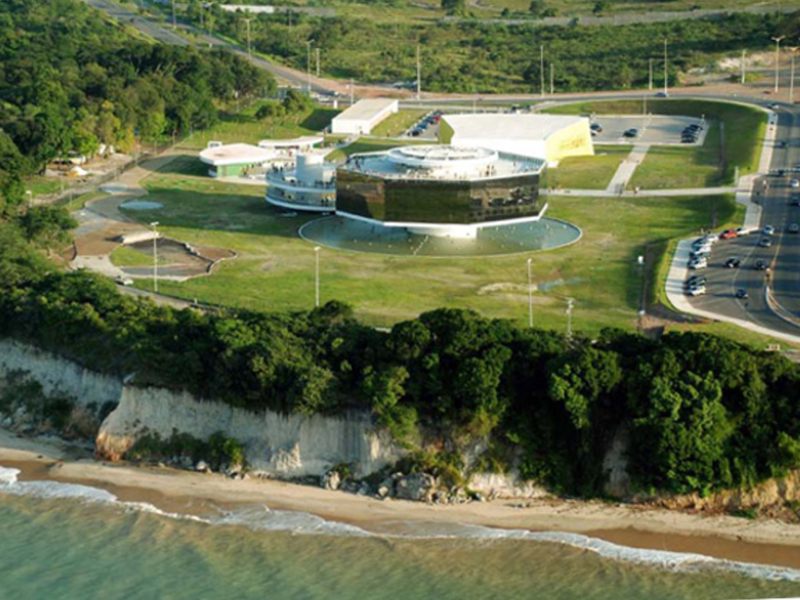 Very near from there is possible to visit the Estação Cabo Branco, a space dedicated to art and sciences and with a magnificient view of the city. Oscar Niemayer, a famous brazilian architect, signs that building. Ponta do Seixas beach. Cabo Branco Lighthouse. Estação Cabo Branco. João Pessoa is always in summer. The climate is tropical and semi-arid and João Pessoa has a mean annual temperature of 26 degrees Celsius (78,8 degrees Fahrenheit). The mean humidity is around 80%. All the beaches in the town offer calm and warm waters for swimming. 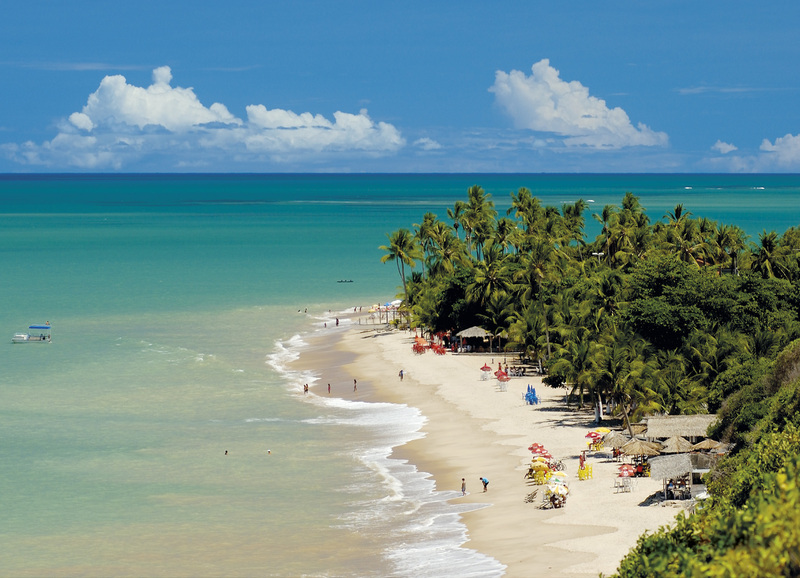 In the seashore of Joao Pessoa, there are options for leisure in all its length. 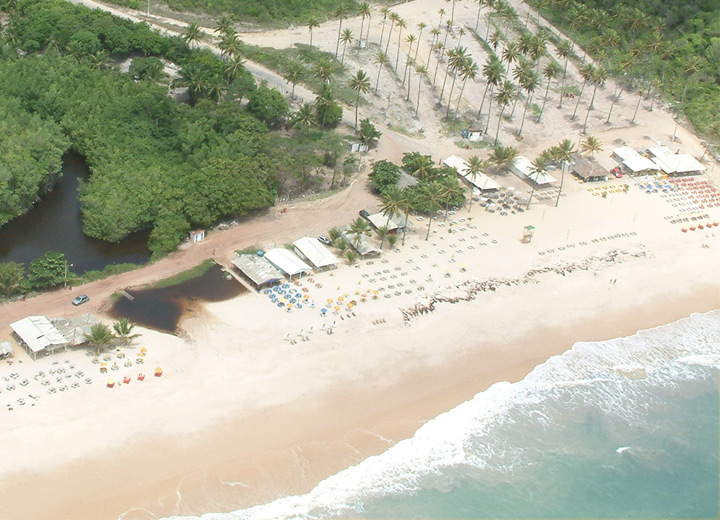 From the Cabo Branco beach towards the north beaches, passing through Tambaú, Manaira and Bessa, the spaces are devoted to the joy of the visitor: good hotels, public spaces for walks, bicycle ways, shops with summer articles and cheerful cabanas where shrimp sticks, beer and coconut water are served. On one side of the avenue, the most modern buildings of the city, and on the other coconut trees give a tropical touch to the place. Tambaú beach. 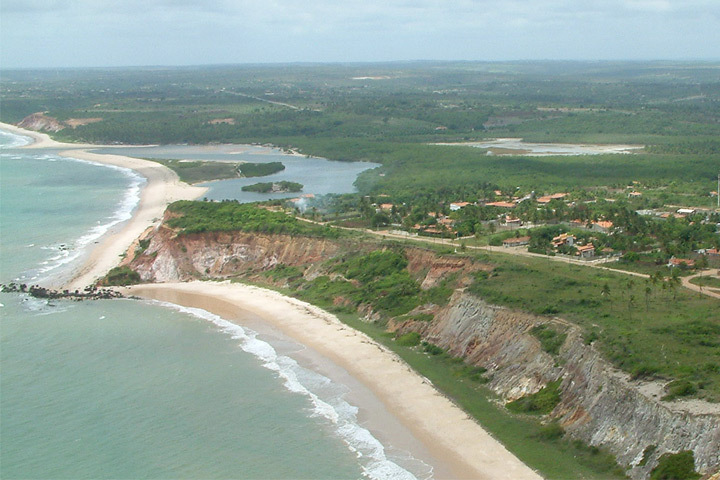 At right - from bottom to up: another view of Tambaú beach, Manaira beach and Bessa beach. From the Cabo Branco beach towards the south beaches, passing through Seixas (cited above) and Penha: few minutes from there and in the same direction, beatiful and calm beaches can be visited (Jacarapé, Sol and Barra de Gramame). Sun Beach and Barra de Gramame. The traditional northeast kitchen options are abundant in Joao Pessoa. Many restaurants serve salted meat, one of the most famous specialties in Paraiba State. Besides the good restaurants that serve the regional dishes, there are many other culinary options. 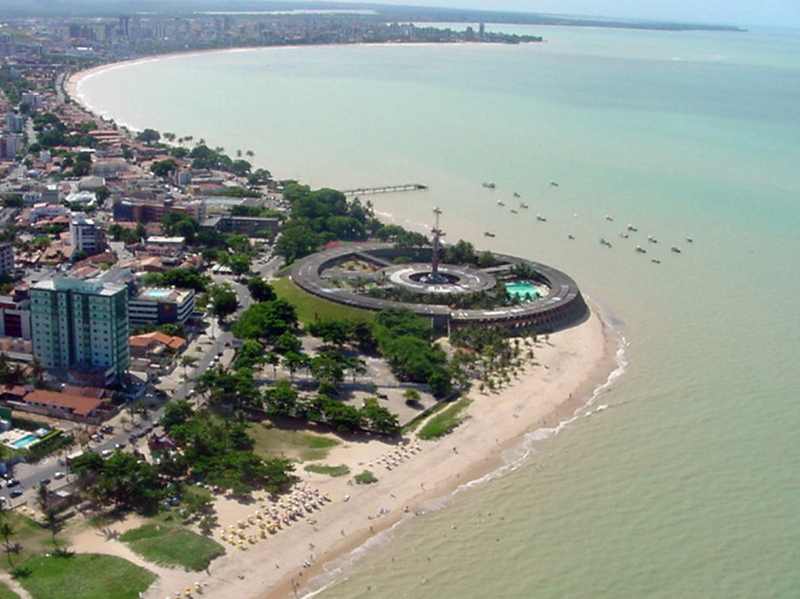 João Pessoa is waiting for you in August, 2014 for the FLINS 2014! 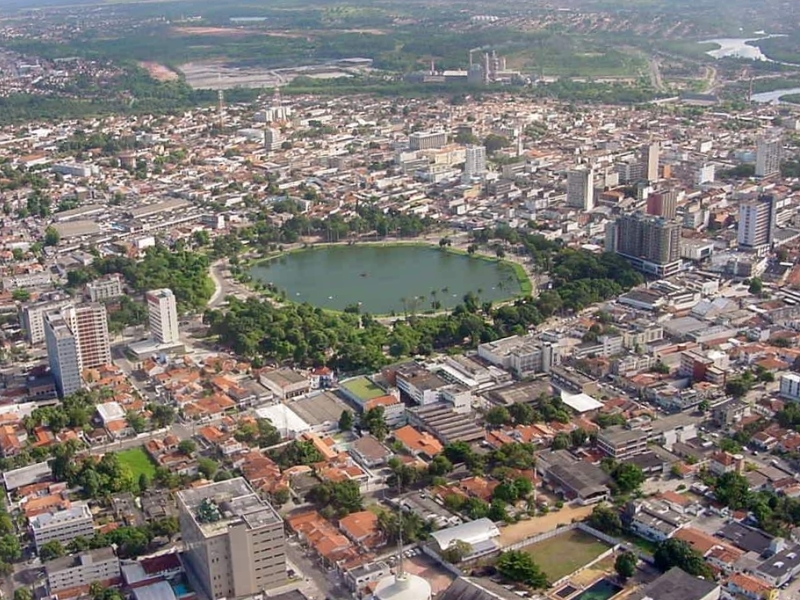 Aerial view of João Pessoa city - Brazil. Do you want to see more? See this video at You Tube (in English): João Pessoa.